(CNS): The Elections Office and the Anti-Corruption Commission are warning not just the candidates but the electorate as well not to vote for a prison sentence by selling their votes during the 2013 election campaign. Having joined forces with the ant-corruption cops, election officials said that buying or selling votes is a crime and could result in hefty fines and time in prison if people are caught. Despite the persistent rumours of significant corruption surrounding votes at election time in the past, the police commissioner said that no complaints about vote buying and selling had ever been made to the police and no one has ever been charged. Having already warned candidates and the public about entertainment and refreshments at public meetings, the election's supervisors and the RCIPS will be using social media images, PSAs, and print adverts, to hammer home to all involved in the election process the need to fully comply with both the Elections Law and Anti-Corruption legislation. The ads, that will start appearing from Monday, 8 April, make it clear that people can either use their vote appropriately and opt for democracy, or they can sell their vote, sell out their country and end up in jail, officialssaid in a joint release. During the last election reports were made to the RCIPS regarding potential undue influence when small crib cards were reportedly being handed out on Election Day by UDP supporters in the capital directing voters how to cast their ballot for the party’s four George Town candidates. The police opened an investigation, which went on for several years, but the case was eventually closed for lack of evidence. Cayman is expecting to host independent observers for the first time for the May elections and is also now under a much stricter anti-corruption regime following the implementation of the Anti-Corruption Commission after the 2009 ballot. 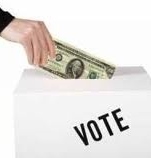 The elections law states that any attempt to influence voting by supplying or accepting items such as food, drink, entertainment, electrical goods or cash is a crime. This can be committed by anyone in society – candidates, their representatives, sitting MLAs or members of the public. The punishment for the crime will be determined by the status of the person either supplying or accepting the inducement. Public officials and sitting MLAs can expect a CI$2000 fine or up to 14 years in prison (under S.10 of the Anti-Corruption law) and others can expect a fine of CI$2000 or up to 12 months in prison (under S.95 of the Elections Law). Supervisor of Elections Kearney Gomez said that steps have already been taken to ensure that the candidates and their agents are fully conversant with the relevant laws. “All candidates have been supplied with a handbook as well as the supervisor’s letter which addressed certain topical information, including elections offences. Additionally, a Candidate’s Kit is available for purchase from the Elections Office that provides an A –Z guide to the elections process. Therefore, they should be well aware of what is legal and what is not when they engage in public and media discussions. These adverts are just another way to ensure that candidates and the electorate are kept fully informed,” Gomez added. Anyone who is offered some form of inducement for their vote or witnesses vote buying or selling can make a report to either the police or the Elections Office. (CNS): Efforts by the Cayman Islands Airports Authority to persuade the Central Tenders Committee (CTC) via a business case that its proposed redevelopment could be offered to a sole bidder have failed and government will have to go back to the drawing board on this project. 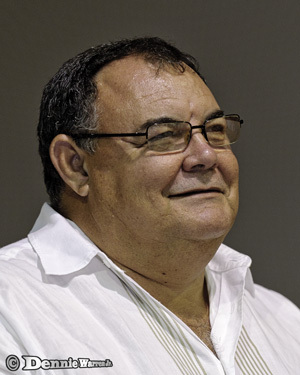 Tourism Minister Cline Glidden said that a new independent business case assessment would now need to be carried out before the project could move towards a request for proposal on an open competitive tender. Meanwhile, Cayman Airways has been given the go-ahead to present its case to the FCO for the purchase of the 737s, which are approaching the end of their lease. Speaking at Thursday’s press briefing, Glidden said that a the FCO’s own economic adviser has helped put together the value for money case to buy the aircraft, which, despite the financial constraints on the government, may allow CAL to borrow the money to buy the aircraft if London could be persuaded that buying would save the public purse money over thereturn of the planes and the start of new leases. The tourism minister also revealed that the preliminary deal, which had begun under his predecessor with the owners of the Philippines airline PAL was no longer active. Glidden said that he could find no evidence in the tourism ministry, which was previously held by former premier McKeeva Bush, of cash changing hands. He said the board had concerns about the proposal, which could have seen the Asian airline hold shares in CAL, and as far as the national flag carrier and the ministry were aware, there were no remaining obligations regarding those talks to the CIG. 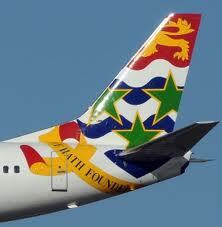 Glidden also explained why the airport development business case was going back to the drawing board. 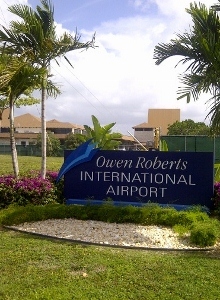 He said that all of the work completed so far by the airport management was to present a case for a sole bidder, but that would not meet the business case requirements, as set out in the fiscal agreement with Cayman and the UK, which is now part of the Public Management and Finance Law, for a proposal for a competitive tender. He explained that when the Airports Authority began making a case for a sole bidder, which was eventually declined by the CTC, the Framework for Fiscal Responsibility was not in existence. As a result, a new business case to justify the project, which will involve public funds, will now have to be undertaken by an independent consultant. Updating the press and the public regarding the cruise port, he said that had taken a step forward in the process as the strategic outline had been completed and had been presented to the deputy governor, who heads the public sector investment committee. The committee will scrutinize the outline, which, Glidden said, would form part of the request for proposals for developers to make a bid for the project. (CNS): Dart Reality Cayman Ltd is closing another public road for some four weeks in order to undertake utility work on the road running parallel to the site where it proposes to develop a luxury hotel. Raleigh Quay, one of the connections to the West Bay Road and the new Esterley Tibbetts Highway extension, will be closed to traffic on Monday 8 April for around four weeks. As a result, more temporary traffic diversions will be put in place in the area to enable people to access the beach, local bars, Foster Bay Villas and St Matthew’s Residences. Dart said that there would be no left turn onto Raleigh Quay from the highway during works. Local traffic from Raleigh Quay will exit right onto West Bay Road to the Yacht Drive Roundabout. Meanwhile, access to St Matthew’s Residences and Foster Bay Villas will be via the Yacht Drive Roundabout and access to Tiki Beach, Surfside and Calico Jack's will also be via the Yacht Drive Roundabout, officials from Dart stated. The work is all part of government’s controversial deal with Dart to swap land with the developer to facilitate the development of the former Courtyard Marriott hotel site as a beachfront resort. The deal will eventually see most of the West Bay Road from the Governor’s Way junction to Yacht Drive closed to vehicular traffic. 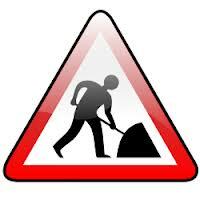 See full details of the latest diversions and traffic flow changes below. (CNS): Dwayne Seymour made a startling admission Thursday that he had never supported the idea of relocating the country’s landfill to Bodden Town and that he and his UDP colleagues at the time were “thrown under the bus” by then premier McKeeva Bush over the issue. He said that he did not reveal his true feelings when the plans were revealed because he believed the situation was not unlike a “family squabble” and did not need to be aired publicly, but he was not in favour of the proposal and would not be campaigning in support of a landfill in his district. The community affairs minister said he wanted people to know he was not scared to accept responsibility but he would not support any decision on a new landfill before the best site for it had been determined. Speaking at Thursday morning’s live press briefing, which will be repeated on the government TV station this evening, the Bodden Town incumbent voluntarily offered the information when he referred to reports on CNS that heand his runningmate, Mark Scotland, were the last two candidates supporting the landfill move. “No one ever came to me to ask me if I was OK with a waste-management facility in Bodden Town,” he said, adding that he was part of a group that made a decision to consider the Dart proposal. However, Seymour said Bush had made the announcement to him and his colleagues without consultation, “throwing us under the bus", but, he said, "I was not happy with that." Nevertheless, he did not resign or speak out because promises were made that it would not be a dump but a modern waste-management facility and the caucus was “encouraged to go along with it". Seymour said that it was not his decision to bring the landfill to the district and he wanted to make it clear he was not a supporter of the plan. Support from his cabinet colleagues also appeared to be dwindling for the proposal to relocate the George Town landfill to the Midland Acres area of Bodden Town as part of the wider ForCayman Investment Alliance with Dart. Scotland said the negotiations regarding the proposed land swap regarding the landfill had stopped because government was no longer in a position to be able to move ahead, given that the election is less than seven weeks away. Scotland implied that the situation was always merely a proposal that offered a solution to what continues to be a major issue and would now be a problem for the next administration, which he hoped they would tackle as soon as possible. Back-pedalling somewhat on his own support, Scotland admitted it was possible to fix the dump in George Town but it was the cost that was the problem. He said he was in favour of any solution that would address the issue that government could afford, as Mount Trashmore has continued to grow while successive administrations have been unable to find a solution. The West Bay incumbent MLAs also hedged their position about the proposal. Rolston Anglin said there was “never a carte blanche approval for the facility”, adding that the people needed to be properly educated about the waste-management problem Cayman faced as many candidates were “talking garbage” about it. But whatever the next government decided to do, it had to have the support of the residents, even if that meant having to start a new site. Anglin said that, in his own opinion, he did not think it was feasible to tackle it via a waste-to-energy project on site, describing the concept of “dredging and burning” at the landfill as “foolhardy”. His West Bay running mate, Cline Glidden, also distanced himself from the proposal and implied that the politicians were not the best people to decide on a waste-management solution because it was a complex science that may still take time to be solved, given the lack of financial resources available to government. (CNS): Updated – The Cayman Islands Airport Authority (CIAA) Board went way beyond its stipulated role as an oversight body and interfered directly in the management of the facility, according to observations made by a government watchdog. Comments in the management letter last year which accompanied the CIAA financial accounts for the year ending 2011 reveal that the Office of the Auditor General (OAG) had raised concerns, not only about the board’s interference with the management, promotion and recruitment of staff, but a requirement imposed by the board on management that it must approve all of the businesses given work at the airport, which was described by the public auditors as a conflict of interest. Last month former CEO Jeremy Jackson was sacked by the board following the exposure of a report undertaken by the members which documented a list of mismanagement and misuse of public money at the airport, from boozy lunches paid for on a government credit card to the failure to properly investigate the theft of tens of thousands of dollars of public money. However, it appears that it was not only the civil servants who were failing to comply with the rules at the authority as the audit letter appears to raise significant questions about the board’s behaviour and its direct involvement in the day to day management of the airport. In the management report, which was released to CNS following an FOI request, the OAG points to the separation of responsibilities between the board and management to ensure a good corporate governance framework. “From our review of its minutes and our audit of operations, we found that the Board has engaged in an operational capacity beyond its role as an oversight body,” the report states. “The operations of the board create a conflict of interest that results in a significant breakdown of the organisation's management control framework. This has created a significant risk that decisions and transactions of the organisation could be conflicted or corrupt,” the auditors write. From directors of the board sitting on procurement committees to the board’s approval for the promotion of staff or an increase in salaries, the auditors present a significant list of inappropriate interference by the board members. The management letter also lists a number of other concerns of the auditors, including the failure of the airport management to properly tender all its contracts over $50,000, as well as the failure to have contracts signed. The auditors picked up on several discrepancies but also placed the board on notice that its decision to sign an exclusive talks deal with a Canadian company to redevelop the airport was unlawful and did not meet the requirements of the Public Management and Finance Law. Following the catalogue of issues listed in this report and the document, which was leaked to the North Side MLA Ezzard Miller last month, that pointed to the possibility of a theft at the authority and abuse of office, the police had said no formal compliant had been made to them up to 20 March. However the Anti-Corruption Commission said Thursday morning that a complaint had now been received. "We can confirm that an allegation of corrupt behaviour as you describe has been received by the Anti- Corruption Commission. As with any allegation made to the Anti-Corruption Commission referencing corrupt behavior, the complaint is firstly registered, the details are then reviewed to determine the validity or otherwise of the accusations made and the existence of evidence as part of that process,” an ACC spokesperson stated. (CNS): Police confirmed Thursday that a 56-year-old man has been charged with fraud in relation to the theft of more than half a million dollars from a local financial firm. 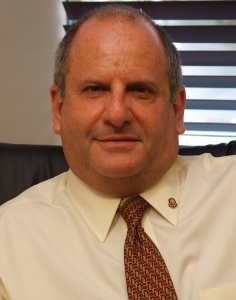 Michael Levitt, a former president of Rotary Sunrise, was arrested last month in relation to the white-collar crime after financial irregularities were uncovered at Solomon Harris during the law firm’s annual financial reporting process where the suspect had worked. An RCIPS spokesperson said the Canadian national has now been charged with two counts of theft, which occurred while he was employed by the local firm, and he is expected to appear in court later today. Following Levitt’s arrest, the managing partner reassured clients that none of them were impacted by the fraud which was an internal issue only. (CNS): The incumbent member in the district of North Side will be launching his election campaign Thursday evening in a political battle that many believed was not going to happen. Ezzard Miller had been expected to be returned on Nomination Day as it appeared no one was willing to go head to head with the populist representative, who is expected to be returned with a significant majority. However, in a last minute announcement, the beleaguered former MD of the Electricity Regulatory Authority (ERA), Joey Ebanks, declared his intention to run against Miller on his Facebook page, despite being on police bail under suspicion of theft, drug offences and abuse of office. Miller said he was in no doubt who is really behind Ebanks’ 11th hour decision to run against him but after four years of serving the district he is confident the people of North Side will return him to the Legislative Assembly. He said he would not allow the appearance of Ebanks on the political platform to distract him from the main issues, such as the high rate of unemployment among Caymanians when there are over 20,000 work permit holders, the need for a minimum wage and the pressing need to encourage local investment in the country. However, Miller said he was expecting Ebanks to continue “sowing seeds of hatred” to detract from his own problems and believes that his opponent has been coaxed into the fight by former premier McKeeva Bush. Miller said he would be addressing this issue at his campaign launch because he was “one of only two people who have consistently stood up and exposed much of the mismanagement of his UDP government”. Miller said it was no surprise that his political colleague, Arden McLean, was also in a head to head fight with a “controllable candidate” who has received the endorsement of the UDP leader, despite running on an independent ticket. In his launch this evening Miller will be discussing the plans he has to continue the fight for the rights not just of North Siders but all Caymanians. He will not be offering any lavish refreshment, Miller told CNS, but he will be offering plain speaking about the future and what he hopes to achieve in the nextfour years for his district. The meeting will take place at the Craddock Ebanks Civic Centre and will start at 8pm. (The Guardian): Millions of internal records have leaked from Britain's offshore financial industry, exposing for the first time the identities of thousands of holders of anonymous wealth from around the world, from presidents to plutocrats, the daughter of a notorious dictator and a British millionaire accused of concealing assets from his ex-wife. The leak of 2m emails and other documents, mainly from the offshore haven of the British Virgin Islands (BVI), has the potential to cause a seismic shock worldwide to the booming offshore trade, with a former chief economist at McKinsey estimating that wealthy individuals may have as much as $32tn (£21tn) stashed in overseas havens. (CNS): The University College of the Cayman Islands (UCCI) will host its third annual Spring Concert on Saturday, 13th April, at the UCCI Courtyard. The concert seeks to develop the talent of UCCI students while raising funds for the University College’s Cultural Exchange Programme with Trent University in Peterborough, Ontario, Canada. Local artists KK Alese, Glen Inanga, Cayman Swing Kings and InVerse Band are all set to appear in the variety show style concert, as well as a special presentation by students of George Town Primary school, who are participating in UCCI’s Performing Arts Outreach programme. A new addition to the concert this year is the Mr. and Ms. UCCI competition awards, a search for students who embody the ideals of the University College. Finalists will be judged in three categories: Talent, Interview and Evening Wear. Winners will receive various prizes, including cash, airline tickets courtesy of Cayman Airways, handsets from Digicel, an iPad mini from Kirk Office Equipment, and gift certificates from the Ritz-Carlton, Westin Casuarina Resort, Hollywood Theaters, Off The Peg, Boutique Ziba, Wuave Boutique, Godfrey’s Enterprises and AL Thompson’s. Contestants will be able to attend workshops on public speaking, personal grooming & style, building self-confidence and talent development. UCCI is appealing to the community to support this event and the exchange programme, which is intended to develop individual talents, leadership skills and an appreciation of cultural identity. Since its 2011 inception the Spring Concert has been supported by the Caymanian Compass, dms Broadcasting, High Impact Media, Kirk Market and Fosters Food Fair. The benefit concert is presented under the patronage of UCCI Board Chair, Mrs. Berna Cummins. (SOCI): The Red Sail Group of companies has donated CI$15,000 to support the efforts of Special Olympics Cayman Islands (SOCI) in its mission to provide year-round sports training and athletic competition in a variety of Olympic-type sports for children and adults. The Red Sail Group has long been an advocate of the non-profit sports training program, which caters to athletes with intellectual disabilities from 8 years of age. Andrew Smilley, an employee of the Red Sail group, won gold in both the 200 meter individual medley and the 400 meter freestyle at the 2007 Special olympics World Summer Games, as well as the 1.5-kilometer open water swim at the 2011 Special Olympics World Summer Games in Greece. Nick Freeland, Chairman of Special Olympics Cayman Islands, expressed his gratitude to The Red Sail Group for their generous donation. “Without the support of companies such as The Red Sail Group, we in turn would not be able to support our amazing athletes. We strongly believe that with sports training and competition, these children and adults lead fuller, more self-sufficient lives, and are able to achieve success on and off the field of competition”, commented Mr. Freeland. The Red Sail Group also makes contributions to The Lighthouse School and various education programs in the community, through donations and employee volunteer programs.